This listing is for one purple enamel "Ready to Retrograd" pin. The size is approximately 1.25" wide and .75" tall. 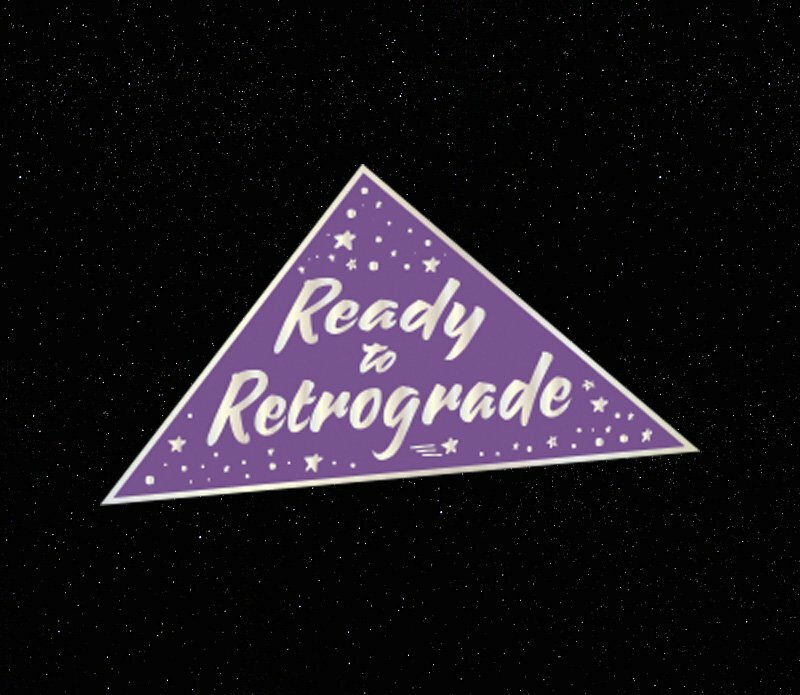 Wear this pin as a reminder that you are totally ready to rock this retrograde and use it as a positive force for growth, grounding and reconnecting with your truth. © Copyright 2019 Goddess Provisions Inc.